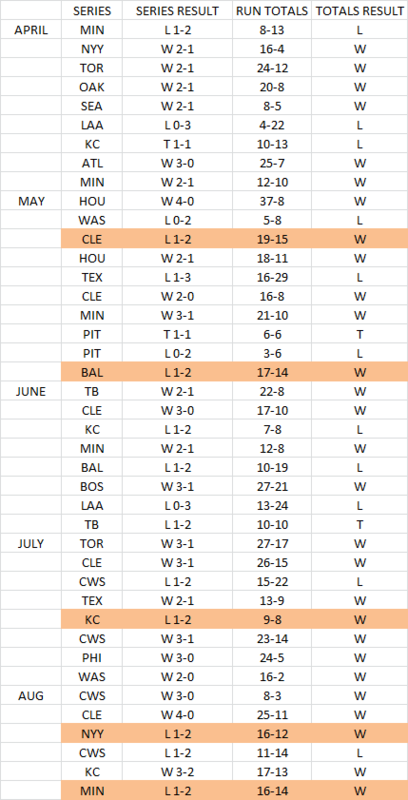 I noticed a few days ago that the Tigers were under performing their expected wins based on the runs they had scored and the runs they had allowed. The difference is even greater when you consider how many runs a typical team with the Tigers offensive numbers would have scored. There are many possible reasons for this. Maybe the Tigers have their hitting concentrated in too few players. Maybe their bullpen has not held small leads. Maybe the Tigers have just had more bad breaks than usual in a season. I decided to compare run differentials series by series. Maybe a few blow out games that the Tigers won skewed things. 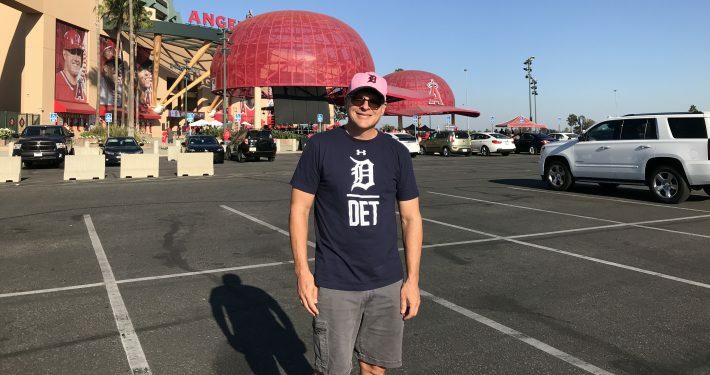 I did find five series where the Tigers scored more runs and still lost the series. I found no series where the Tigers scored fewer runs yet won the series. 5 does seem like a lot when you consider that you can’t have flipped results in swept series or a split series. However, since I did not investigate other teams this may in fact be a typical number, or at least a typical number for good teams. Here are the results to date. The Tigers have lost 5 series where they scored more runs than their opponent.